Heat 1 tablespoon oil in a large saucepan over medium-low heat. Cook onion and capsicum, stirring, for 5 minutes or until softened. Add coriander root and stem, and garlic. Cook until aromatic. Add cumin, paprika, oregano, ground coriander and chilli. Cook, stirring, until aromatic. Increase heat to medium-high. Add 1 tablespoon oil and mince. Stir for 5 minutes or until browned. Stir in tomato and water. Bring to the boil. Reduce heat to low. Cover and simmer, stirring often, for 30 minutes. Stir in beans. Simmer, covered, for 10 minutes. Season. Stir in chopped coriander. Meanwhile, preheat oven to 210C/190C fan forced. Place sweet potato on a lined baking tray. Drizzle with remaining oil. Season. Toss to coat. Cook, turning halfway, for 40-45 minutes or until caramelised. 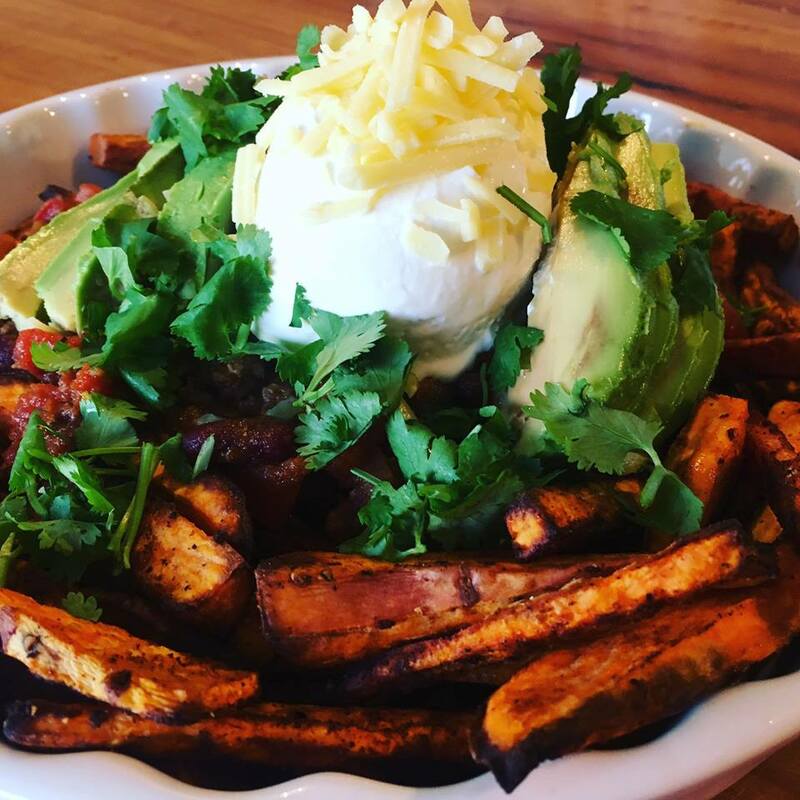 Serve chilli con carne with sweet potato fries, cheese, sour cream, avocado slices and extra coriander.